There’s a wonderful, special role that grandparents get to play within the family. Part of that role says that they have an extra bit of leeway with the grandkids—they might take them for ice cream or let them stay up a bit later when they visit, for example. Ideally, grandparents make life easier for the parents, and ideally, parents honor them and make them feel wanted. 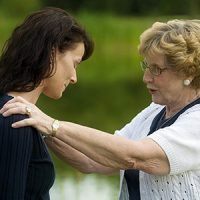 Problems can arise when the grandparents interfere, intrude, or undercut what the parents are saying—or when parents forget to take the feelings of the grandparents into consideration. Unsolicited advice is rarely welcome, and if it’s coming from one’s own parents or in-laws, it will most likely be heard as criticism. Here are 11 tips for both parents and grandparents that can help clear up roles and responsibilities. Following this advice will help keep your family functioning well—not only in the now, but for generations to follow. If you’re a parent whose feeling like the grandparents have been stepping on your toes, start by trying to assume that they have the best intentions. Like all of us, they might make mistakes or be unaware of boundaries they’re crossing. Perhaps they feel unsure of what you want or don’t want from them. Let them know how they can be helpful to you. Help them feel included, important and needed. The number one rule of thumb for grandparents is, above all, don’t criticize. No one likes to feel judged or blamed, most of us become defensive and angry when criticized, and then we shut down. Think of it this way—who wants to be near someone who is always judging them? Instead of criticism, ask how you can be helpful. Focusing on the positive will do wonders for your relationship. Give them a role so they feel they have a way to contribute. Invite them to your parenting classes or pediatrician if they’re having a hard time understanding how parenting and medical advice has changed. That way, they can ask questions and learn good ways to support you. This can solve a problem rather than lead to animosity between generations. If a grandparent says something to the grandkids like, “Your parents don’t know what they’re doing,” or “I would never do it this way,” or to the parents, “C’mon, give them a break, you’re too strict with them,” they’re stepping over a boundary. If they’re openly saying to the parent, “I think you should do it differently,” or “This is how I would do it,” without being asked, they are also showing a lack of respect for your rules and ideas. That’s when you have to make sure, as a parent, that you are clearly stating your boundaries. Unsolicited advice is rarely welcome, and if it’s coming from one’s own parents or in-laws, it will most likely be heard as criticism. If you respect that boundary, you will probably be asked for your opinion, where you will be free to express your advice and wisdom—you will then have more of a chance to have some influence. If you have a big concern that you feel can’t or shouldn’t be ignored, ask permission, speak to the proper person (it’s probably best to speak to your child) and don’t do it in front of the grandchildren. Use your tact and timing. Above all, never side with one parent or the other. Stay neutral and be careful not to talk badly about the other parent through gossip, commiserating or complaining about one to the other, no matter how tempting. Don’t let your grandkids put you in the middle when they complain to you about their parents. They might tell you that their parents won’t buy them what they want or how they won’t let them have a sleep over. Just respond with empathy, but don’t take sides or down talk the parents. This will only lead to trouble. Support your mate when it comes to parenting. You might have to tell your own parents to back off a bit and that they are intruding. While it’s important to get this point across, be sure to never make them feel like a burden. Communicate boundaries, but find ways to make grandparents also feel respected, honored and wanted. Let’s say your husband doesn’t want your parents to overstay their welcome when they visit. While this is his issue, he also has to support you in having good contact with your parents. Both of you can decide what the boundaries are for you as a couple. Clear up your issues together first, make sure you’re not working this out in front of the grandparents or making them uncomfortable. Then communicate what you need or expect. Be clear, honest and thoughtful about what you will and won’t do as a grandparent. Some grandparents feel they have already done the job of raising kids and don’t want to be called to babysit or be at every event. Others long for the invitation. Know what you are willing to do and not do and make this very clear. Communicating honestly will prevent difficult feelings down the road. If you live close by, are you willing to be called to pick up or drop off kids, babysit, called at the last minute, watch sports events? How often? Being clear about your role is better for everyone involved. Parents, if the role that you’ve played all your life in your family is no longer working, change it. Don’t spill your unresolved issues onto the next generation; work out the differences that are still affecting you. Recognize that it might be your own insecurity as a parent causing you to hear helpful advice or suggestions from the grandparents as criticism. If necessary, guide them to better ways of making suggestions that won’t leave you feeling undermined or criticized. Grandparents, make sure that by being helpful you aren’t being intrusive. Being a grandparent is such a joy, and it’s your chance to love your grandchildren and be the wise sage, the guide, and the teacher. Your goal is to be loving and supportive, not critical or overly judgmental. This will be best for you and for your children. Not only that, but you will be the joyful presence they will want to have around. Be sure to fill your life with your many interests and goals beyond just being a grandparent. When you do this, you are taking responsibility for making your life full and complete so your kids or grandkids won’t feel they must do that for you. Try and let go of expectations of how you want things to go or how you think things should go. Rather, take joy in how things are going. Don’t let expectations get in the way of enjoying and appreciating what is. If you think your daughter-in-law should be inviting you over more, rather than getting hung up on that, enjoy the events you go to. Always keep the communication open in order to work out differences. Even if you don’t agree with what the parents are doing (as long as there are no health or safety concerns), trust them. Remember that you are not the parent, you are the grandparent. Getting in the middle of how your child and his or her mate are raising their kids will only cause problems. Keep in mind that the world has changed, and what worked years ago for you may not work very well now. If it helps, take some parenting classes or speak to a pediatrician to get some firsthand information. Keep in mind that as a grandparent, even if you don’t agree, you have to go along with the rules. With medical or safety issues in particular, you need to defer to the parent. You can be curious, ask questions and talk about the issue in a respectful way. But your role is not to parent the child anymore—it’s to be the grandparent. Know where you end and they begin. Respect the boundaries and roles. Love the grandkids unconditionally and be helpful to the parents rather than make things harder for them. And be compassionate with yourself when you mess up. No one’s perfect—not even Grandma! Most importantly, work to make this work. Parents need their parents, grandparents need their children and grandkids. This relationship is enriching for all and doesn’t last forever. Whether you live close or far away, make sure you find ways to make everyone a part of each other’s lives. For more than 25 years, Debbie has offered compassionate and effective therapy and coaching, helping individuals, couples and parents to heal themselves and their relationships. 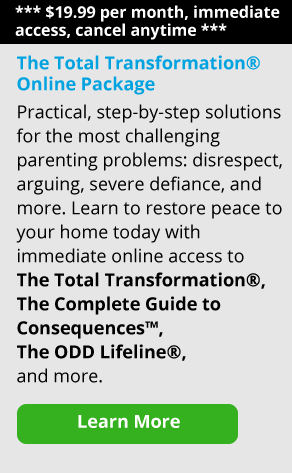 Debbie is the creator of the Calm Parent AM & PM™ program (which is included in The Total Transformation® Online Package) and is also the author of numerous books for young people on interpersonal relations.